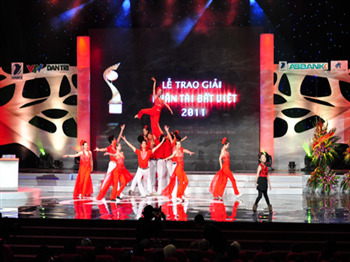 The Vietnamese Talents Awards 2011 held on November 20 hailed Vietnam’s leading scientific and medical achievements in front of a high-ranking audience. 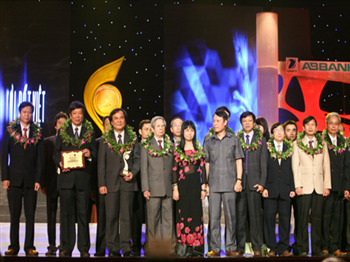 Attendees included former Party General Secretary Le Kha Phieu, Vice State President Nguyen Thi Doan, former member of Politburo and former Chairman of the Vietnam Study Promotion Society Vu Oanh, Minister of Information and Telecommunications Nguyen Bac Son and former Health Minister Nguyen Quoc Trieu. General Vo Nguyen Giap and Party General Secretary Truong Tan Sang sent flower baskets to welcome the ceremony. 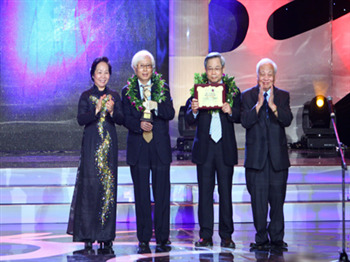 Viet Duc Hospital received an award for its research on liver, kidney and heart transplants provided by dead brain donors. The research conducted by Associate Professor and Director of the hospital Dr. Nguyen Quyet Tien, intended to raise public awareness over the generosity of donors in providing their organs. To date, the families of four brain dead patients have agreed to donate organs. Thanks to their agreement, the hospital has successfully carried out two cardiac valve transplants, two liver transplants, eight kidney transplants and one heart transplant. 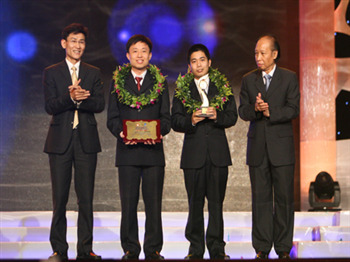 The second prize was presented for Hue Central Hospital for its successful heart transplant made possible by a donation from a brain dead patient. This is the first heart transplant of its kind that was wholly conducted by Vietnamese doctors. The patient, Tran Mau Duc, 26, from Phu Hoi Ward in Hue City, had suffered fourth-degree heart failure. He underwent a five-hour operation performed by Dr. Bui Duc Phu, Director of the hospital. The operation ended in the early morning of March 2, 2011. This is the second successful heart transplant operation in the country, after the first one carried out at Military Hospital 103 with the help of foreign doctors. Professors Nguyen Van Do and Tran Duc Thiep from the Vietnam Academy of Science and Technology’s Institute of Physics received a prize for their joint research on nuclear structures and reactions. The two professors used Vietnam’s first Norton NA-3-C and microtron MT-17 accelerators in human resource training. They also studied and developed modern nuclear analysis measures for application in Vietnam. Three third prizes worth VND30 million each (USD1,435) in the applied product section were awarded to a HDTV signal receiver, the NukeViet Open source website design software and homeON (HN) intelligent home system. The HDTV signal receive is Vietnam’s first card used to receive HDTV signals meeting OpenGear standard. The equipment is comprised of two products: one part to amplify the HD DA signal and the other to receive with a HD FX1 signal. NukeViet is Vietnam’s first open source content management system. 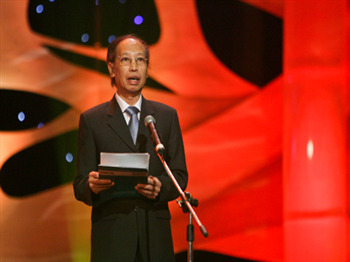 NukeViet is among several professional open source programmes in Vietnam. It was produced by Vinades JSC. The homeON (HN) intelligent home system promises intelligent house design and environmentally friendly energy-saving operation. It was designed in response to the government’s call for energy-saving measures. 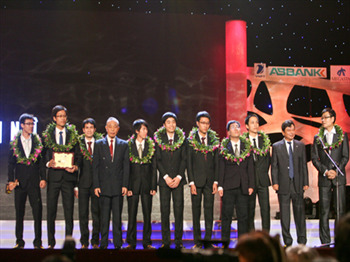 The group with potential application received two third prizes. The IPNET control unit allows remote control over electrical appliances by users based on time, voltages and electric current. It is produced by the Techpal Joint Stock Company. The other prize winner was the Lynx chemotherapy and online-patient management system which focuses on monitoring and managing the treatment of cancer patients via the internet and is based on the Microsoft Silverlight application framework. Lynx helps scientists and doctors supervise chemotherapy treatments. Lynx can be used on personal computers, notepad and different browsers, including Internet Explorer, Firefox and Chrome. The only second prize worth VND50 million (USD2,392) was granted for iCompanion information service and knowledge system in the group of products with potential application. It is the first information system in Vietnam to employ semantic technology in the tourism sector. It offers to provide more intelligent search criteria. 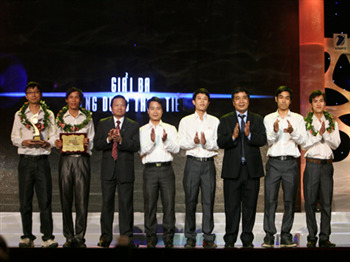 No product was granted with the first prize of the Vietnamese Talents Awards worth VND100 million (USD4,784).